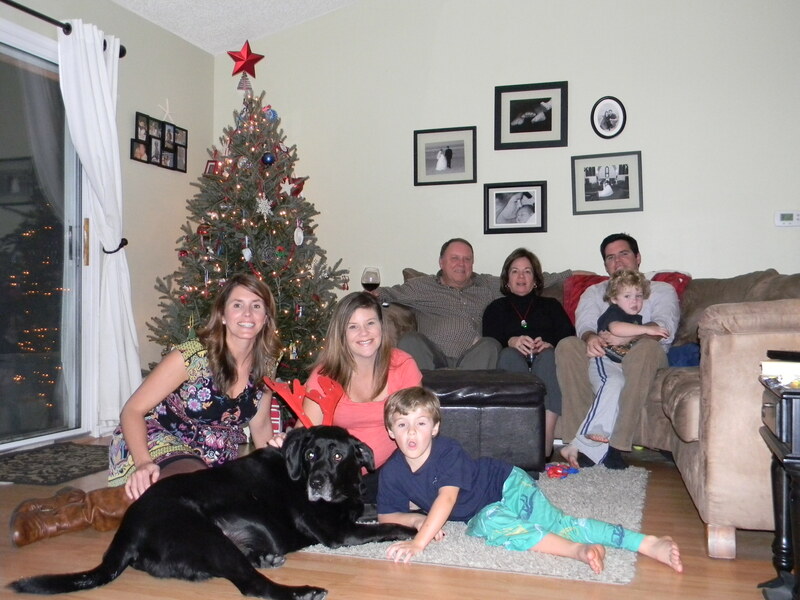 I had a wonderful Christmas with my family. My nephews are 3 and 5 and they add a burst of energy to Christmas that I wish I still had. I have an awesome family, I love them very much. When it comes to the holidays one of the things we all love to do (besides drink a tad bit too much wine) is eat! I love indulging in sweets during the holidays and just don’t have the time to make my own gluten-free sweets so I rely on Cookie Momsters. They are awesome! 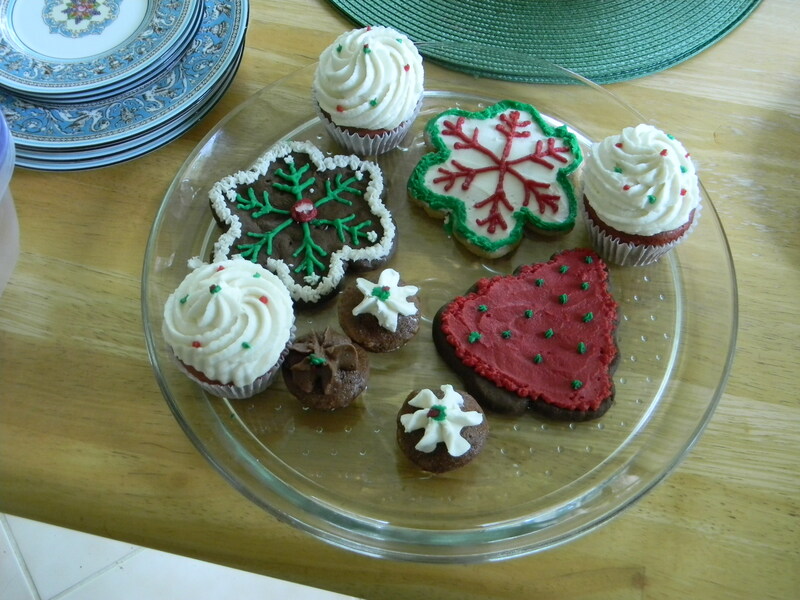 We had chocolate cookies with vanilla icing, vanilla cupcakes with vanilla icing filling and chocolate icing topping, red velvet cupcakes with mock cream cheese icing and we had an apple pie (not pictured). All gluten-free/dairy free. Everyone was eating them and not one person said “these taste gluten-free” they taste just like the real thing! 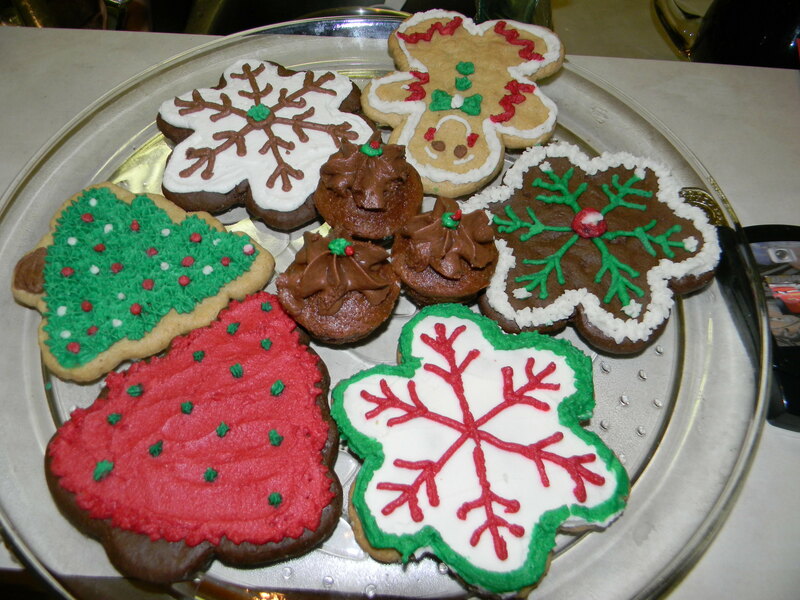 During the holiday season it is best to order ahead but many times when I go in they have cookies and cupcakes pre-made that you can pick up and eat on the spot. What are some of your holiday indulgences? I hope you have enjoyed a great holiday season. Have a Happy New Year!